Hi everyone! I am still on hiatus, but once again, hiatus ≠ closed forever. FGF will be back, hopefully sometime this year as we are finally making some progress in the Battling The Construction front. In the meantime, I have had to disable the comments for the time being because somehow spammers found their way past my anti-spam and I had 66 e-mails this morning with spam comments XD I am not sure what I will do long term to address this, but it probably will involve changing the site over to Wordpress, which will be a chore. At this time, old comments are still visible, you just won't be able to leave a new one. If you need to contact me, please use the e-mail button in the sidebar to the right. Thanks! Last May, I posted that I was taking a short hiatus - that has turned into quite a long hiatus, and I'm really sorry about that! Between my job, health and the mysterious eternal construction project going on in my backyard, a year can pass really quickly. Hey ghouls, I am pretty swamped with deadlines at work for the next couple of months, and it is getting too difficult to juggle the comic and work (in case you couldn't tell by my sporadic posting schedule this month), so I'm going to take a little break until the end of April. I'm hoping I'll get some free time in the midst of this to take enough pictures to have a few extra pages when we come back in May, but at the very least, I should be able to get back on the regular posting schedule the first week of May. Thanks for understanding! 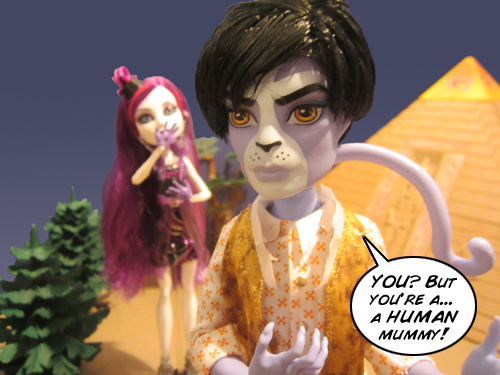 Hello and welcome to "Freaky Gone Fabulous," a webcomic featuring Mattel's Monster High dolls, written and photographed by SailorDonut. You can find all the latest issues here. Enjoy your stay! Thanks for supporting Freaky Gone Fabulous! 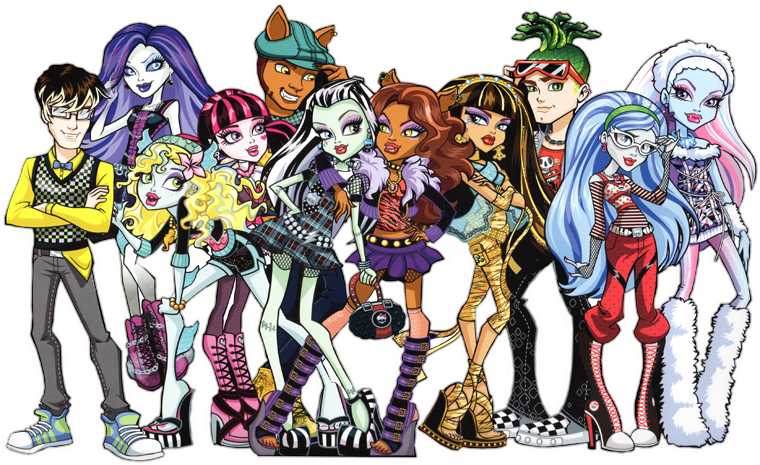 Monster High and all related characters, designs, items, names, etc. are property of Mattel. All the dolls featured in this comic are owned by myself, and may have been modified from their original forms by me. Story and doll photography © SailorDonut. This is a non-profit fansite intended only to promote the fandom.